After damning club life completely after his last show in Miami was overrun with “trust fund kids,” Space Miami has offered deadmau5 an opportunity to restore his faith in nightlife culture. In an open letter to the outspoken producer, Space Miami offered Joel to cover $25,000 of his expenses to perform at the iconic nightclub. 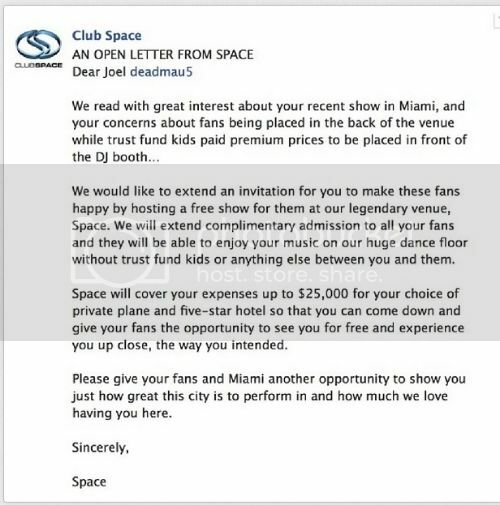 In return, Space will open its doors for free to true deadmau5 fans without the experience being marred by bottle service tables and entitled socialites with camera phones.